SACRAMENTO, Calif. /California Newswire/ — On Wednesday, Calif. 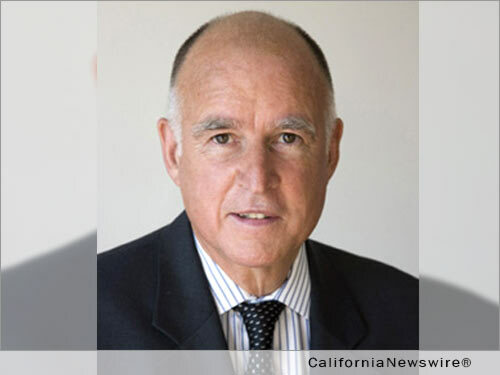 Governor Edmund G. Brown Jr. announced the following appointments: First, Matina Kolokotronis, 50, of Sacramento, has been appointed to the California Citizens Compensation Commission. Kolokotronis has been president of business operations for the Sacramento Kings since 2010 and director of the Sacramento Kings Foundation since 2004, where she was a legal consultant from 1996 to 2010. She was an associate at Miller, Owen and Trost from 1996 to 2004. Kolokotronis earned a Juris Doctor degree from the University of the Pacific, McGeorge School of Law. This position does not require Senate confirmation and there is no compensation. Kolokotronis is a Democrat. Glenn Kawaguchi, 50, of Newbury Park, has been reappointed to the California Board of Optometry, where he has served since 2012. Kawaguchi has been a managing optometrist at Eyexam of California since 2011. He was an eye care director at Sears Optical from 2006 to 2011 and a regional optometric practices manager at Eyexam of California from 2000 to 2006, where he was a managing optometrist from 1993 to 2000. Kawaguchi was an associate optometrist at the Office of David Sherman, O.D. from 1992 to 1993. He earned a Doctor of Optometry degree from the Marshall B. Ketchum University, Southern California College of Optometry. This position does not require Senate confirmation and the compensation is $100 per diem. Kawaguchi is registered without party preference. Tricia Almiron, 33, of Lake Elsinore, has been appointed to the 46th District Agricultural Association, Southern California Fair Board of Directors. Almiron has been co-owner at Backyard Bottleshop and Taproom since 2014 and a management analyst at San Bernardino Associated Governments since 2006. She is a member of the Women in Transportation Inland Empire Chapter board and the City of Murrieta Chamber of Commerce. This position does not require Senate confirmation and there is no compensation. Almiron is a registered without party preference. Richard Stapler, 41, of Sacramento, has been appointed deputy secretary for policy implementation at the California Natural Resources Agency, where he has served as deputy secretary of communications since 2011. He was director of communications for Kaufman Campaigns from 2010 to 2011, director of legislation and community outreach for the California Prison Healthcare Receivership at the California Department of Corrections and Rehabilitation from 2008 to 2009 and director of communications for the Yes on Prop 93 campaign from 2007 to 2008. Stapler served as press secretary and deputy director of communication in the Office of California State Assembly Speaker Fabian Nunez from 2005 to 2008, was deputy director of communications and marketing at Human Rights Campaign in 2005, deputy press secretary and legislative aide in the Office of California State Assembly Speaker Herb J. Wesson Jr. from 2002 to 2004 and an account manager at Ross-Campbell Inc. from 1998 to 2002. Stapler is a member of the Sacramento Press Club and the Stonewall Democrats Club. This position does not require Senate confirmation and the compensation is $132,276. Stapler is a Democrat. Nancy Vogel, 47, of Sacramento, has been appointed deputy secretary for communications at the California Natural Resources Agency. Vogel has served as assistant director for public affairs at the California Department of Water Resources since 2012. She was a principal consultant for the California State Senate Office of Oversight and Outcomes from 2008 to 2012, a reporter at the Los Angeles Times from 2000 to 2008 and a staff writer at the Sacramento Bee from 1991 to 2000. Vogel earned a Master of Arts degree in journalism from the University of California, Berkeley. This position does not require Senate confirmation and the compensation is $121,356. Vogel is registered without party preference. Ed Wilson, 59, of Placerville, has been appointed assistant director of public affairs at the California Department of Water Resources, where he has served as deputy assistant director of public affairs since 2015. He has been assistant director of communications at the California Department of Conservation since 2005, where he has served in several positions since 2000, including interim assistant director and public information officer. Wilson was news director at KTXL-TV from 1998 to 2000, news marketing producer at KOVR-TV from 1995 to 1998, a consultant at Wilson Broadcasting Resources from 1992 to 1998 and executive news producer at KXTV-TV from 1990 to 1994. He was a news director at KCOY-TV from 1989 to 1990, an executive news producer at WCPO-TV from 1987 to 1989 and a news director at KGPE-TV from 1979 to 1987. This position does not require Senate confirmation and the compensation is $104,064. Wilson is registered without party preference.